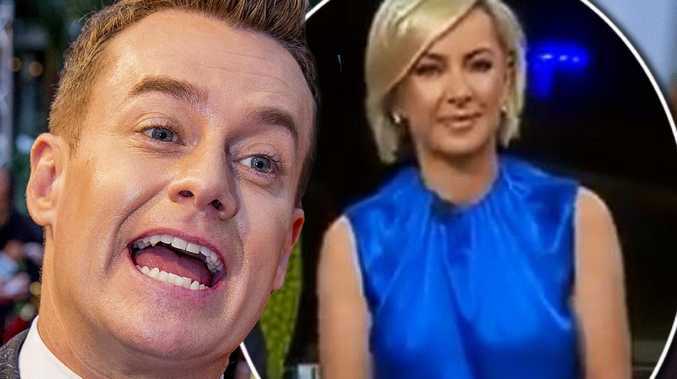 FORMER Sunrise weather presenter Grant Denyer has hit out at the Today show, insisting that the new-look format won't save the show from its horror ratings. Nine's breakfast program launched its first panel without Karl Stefanovic today, following the high-profile TV star's unceremonious axing late last year. 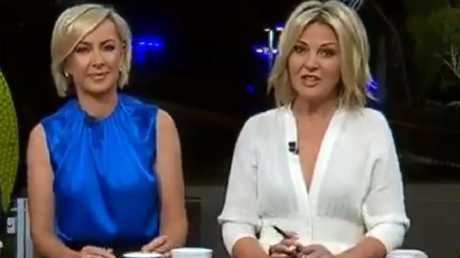 New host Deb Knight, who was announced as his replacement in early January, appeared alongside "partner-in-crime" Georgie Gardner first thing on Monday morning, describing the feeling as like "the first day of school". They were joined by newsreader Tom Steinfort, taking over from Sylvia Jeffreys, sports presenter Tim Gilbert's replacement Tony Jones, and former Triple J presenter Brooke Boney, who has filled Richard Wilkins' entertainment role. Addressing the major overhaul on 2DayFM's Grant, Ed & Ash this morning, Ash London expressed her excitement at having two women at the helm of Today, now that Karl Stefanovic is "see ya later". "But what everyone wants to know is - Grant, do you think this baby's gonna work? Are they scraping the bottom of the barrel here?" she asked co-host Denyer. "I don't think it will," he admitted. "It's progressive that there's two female hosts, and what's clever about that move is that they've trumped what Sunrise was about to do. Sunrise's next move was that they were going to remove the male-and-female combination when Kochie (David Koch) retires - it was going to be two girls." 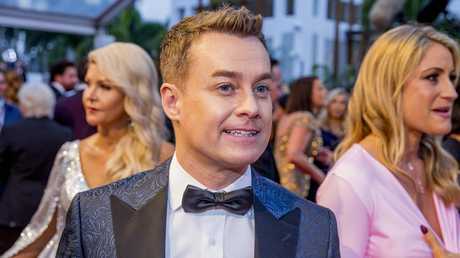 But Denyer, who was a Sunrise fixture for years as weather presenter, believes Today's casting is off. London then summed up: "So they might not sink as low as you need them to get the low-flying fruit salacious?" "Exactly - and that's who wins the breakfast TV war. The more colourful you are, the louder you are, the more you win," Denyer responded. 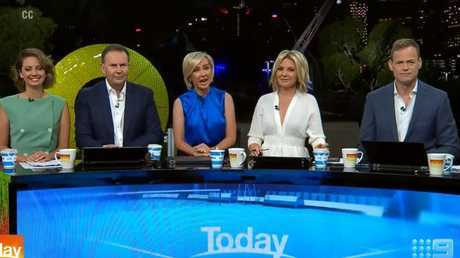 "When Today show was flying - when it was challenging Sunrise's 10-year reign - was when Karl was loose, he was drunk on air, he was mucking around. 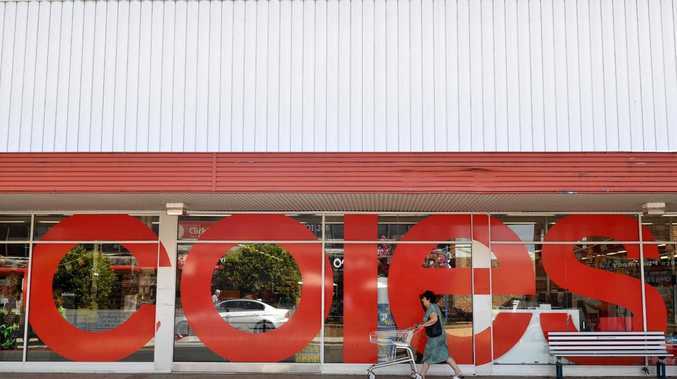 But now they're going to flip it and go 'straighty-one-eighty' and I don't think it will work in the breakfast market, because that's what the ABC is for." 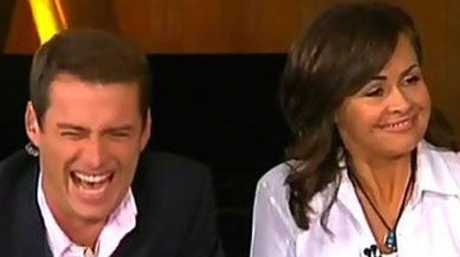 Stefanovic, pictured alongside former Today co-host Lisa Wilkinson, during the infamous post-Logies show. In the weeks leading up to Today's relaunch, incoming executive producer Steven Burling insisted that despite a newsier focus, the show would remain "fun". "Today viewers expect our reporters to deliver breaking news from overnight and early morning - but our team will also set the daily agenda; unique stories, exclusive interviews and content that will have people talking throughout the day," he said.